Even though Punxsutawney Phil saw his shadow and we’re muddling through 6 more weeks of winter, now is the time to start planning for Spring and Summer Mobile Tours. With a ton of front-end logistics like fabricating the vehicle, planning routes/location stops and hiring/training the right staff, it’s best to have at least 8 weeks to plan – but of course, the more time, the better! 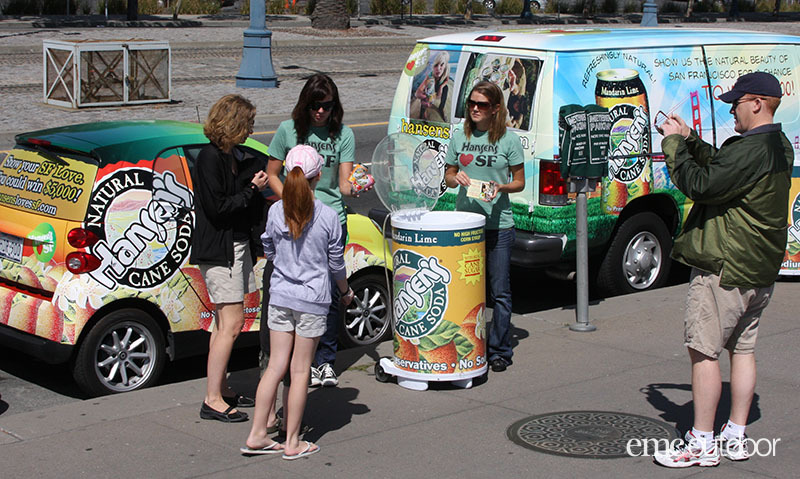 A Mobile Tour allows a brand to maximize resources by designing a self-contained, fully-customizable, mobile exhibit space that creates a brand personality and easily travels where the target demographic actually lives, works and plays. After all, 74% of consumers say engaging with branded event marketing experiences makes them more likely to buy the products being promoted (EventTrack 2016). As a brand, you don’t want to miss out on an opportunity like that! 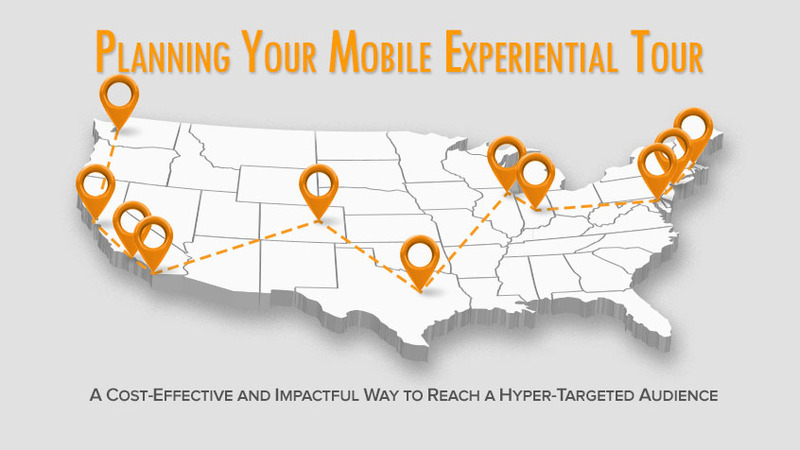 In planning a successful Mobile Tour, here are a few key things to consider. The saying, “you only have one chance to make a first impression,” holds true for any experiential campaign. The right vehicle with the right look is the first step towards a successful activation. Mobile Tour vehicles range from Food Trucks to Tour Buses to Trailers and many in between. Think about your product/service, brand identity, and the type of experience to help decide. Food trucks work well for distribution campaigns or the need to operate in big cities with smaller footprints. Tour buses are a great pick to create a VIP space for consumers and trailers are the most versatile, coming in various sizes and able to take on any number of different pop-up designs, perfect to showcase retail or create a large event space. And don’t forget, the exterior wrap is as important as the interior build since it garners thousands of impressions as the vehicle is driven through cities and states between tour destinations. What’s the best thing about a Mobile Tour? It’s mobile! That means you can travel from one hyper-targeted market to the next and engage with consumers who are in the desired sweet spot for the brand. At EMC we use a data toolkit to help plan our media campaigns, which also includes selecting the best location for experiential activations based on client demographic parameters. Using a plethora of data resources and online tools, we can find that target consumer while they’re at home, work or out and about. This key information can help narrow down top cities for the brand to visit throughout the duration of the tour and show why participating at an event in zip code A vs. zip code B will reach the most receptive consumer audience. Engaging with potential customers who best fit the brand will garner better results for the marketing dollars spent. So you’ve got the perfect mobile vehicle at the ideal location, now you need an impactful experience. With the right event staff, giveaways and key messaging, it’s in the bag. 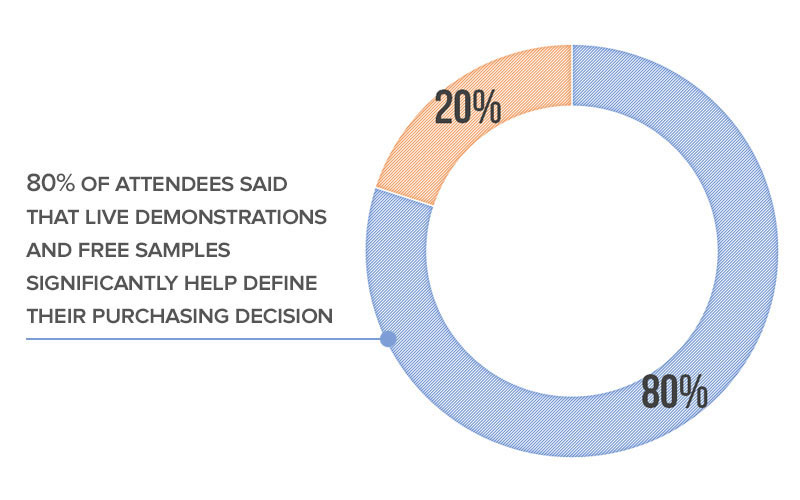 80% of attendees said that live demonstrations and free samples significantly help define their purchasing decision (EventTrack 2016). With knowledgeable, energetic, passionate Brand Ambassadors, any product/service is sure to make a positive impact. All key messaging in the footprint or coming from the Brand Ambassadors should be clear and concise. Incorporating the brand personality in the experience through one-on-one, hands-on interaction, allows each consumer to establish a deeper emotional connection with the brand. Thus turning consumers into Brand Ambassadors through word-of-mouth marketing to their friends and family. Create shareable moments at the mobile footprint. 98% of consumers create digital or social content at events and experiences (and 100% share the content) (EventTrack 2016). 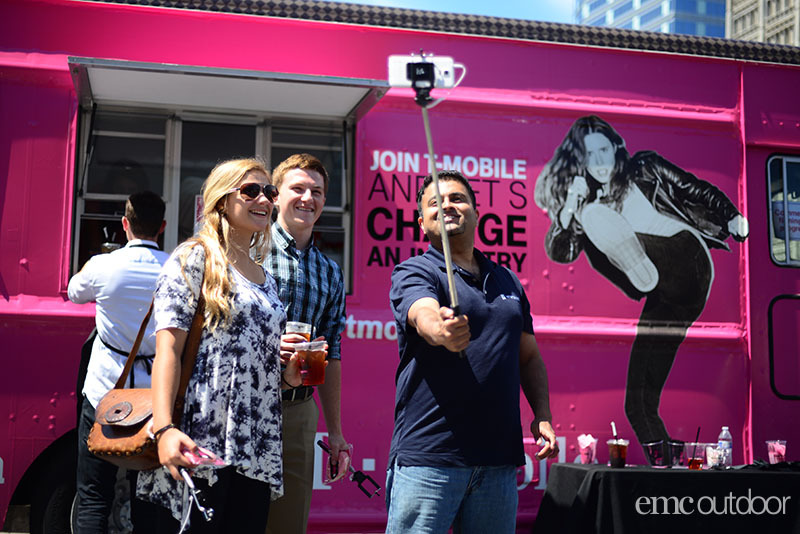 So pretty much everyone engaging with a Mobile Tour can help the brand create a big social buzz. Additionally, 72% of consumers say friends’ posts about branded experiences makes them more likely to purchase the brand (EventTrack 2017). At the very least, every experiential campaign should have a hashtag to track social media posts. Next up, create a photo experience. It can be as simple as a great photo backdrop for selfies or as involved as a photo kiosk with props. Have any other social goals like gain more Facebook likes or Instagram followers? Consumers are most willing to be social with brands when they get something in return. Offer an incentive like a premium giveaway item or host an online contest for those who like or follow a brand’s page. Lastly, having an experienced photo/video crew on the ground at the event activations will allow a brand to instantly post content and create a shareable sizzle reel to further boost impressions even after the Mobile Tour has ended. Last but not least, capturing data at each Mobile Tour stop continues the relationship with the consumer long after the Mobile Tour experience. A data capture platform easily collects attendee contact details for future brand follow up. Surveys can also be incorporated to determine satisfaction in an event experience and interest in the products/services. These key findings will be a great resource for planning the next years Mobile Tour or making strategic business decisions. 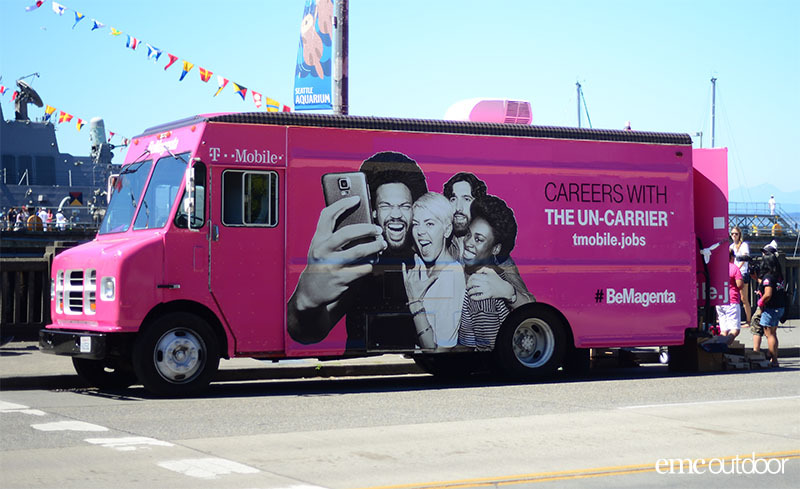 A Mobile Tour allows a brand to maximize promotional dollars, reach a finely targeted audience and visit locations that make sense for a brand’s campaign goal. Consumers who visit the tour footprint will have an opportunity to learn and experience the brand better than any other marketing tactic, leaving with a personal connection. Thinking about running a Mobile Tour this year? Reach out to EMC to partner on an unforgettable experience. 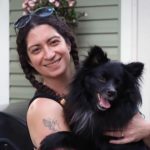 Rebecca started her love of planning and logistics in High School then turned it into a career in Experiential Marketing. An avid music lover and hoop dancer, you’re sure to see her during the summer attending festivals with her LED hoop.